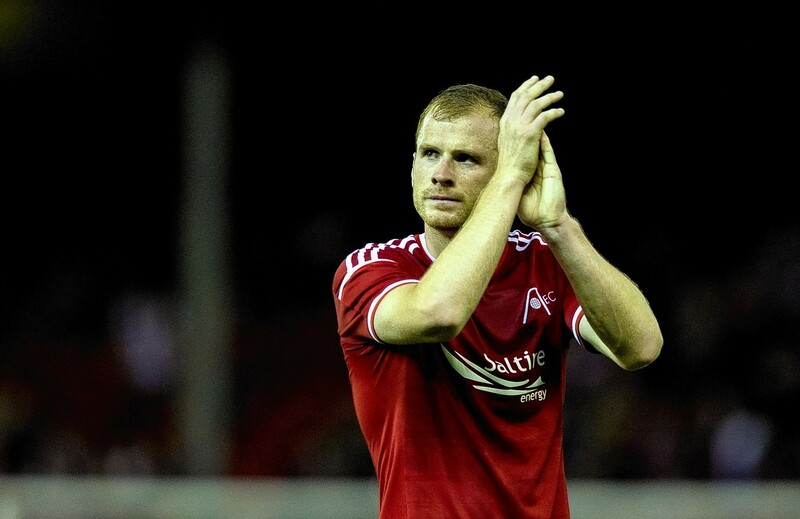 Aberdeen defender Mark Reynolds is refusing to concede the Scottish Premiership title race is already over, despite his club falling 10 points behind leaders Celtic. A Tom Rogic goal gave Celtic a controversial 1-0 win at Pittodrie on Saturday to move them nine points clear of second-placed Rangers, with Hearts, St Johnstone and the Dons one point further back. Aberdeen were denied the chance to draw when in added time referee Steven McLean refused to give a penalty when Graeme Shinnie was fouled in the penalty area by Celtic defender Jozo Simunovic. Reynolds said his team must focus on returning to winning ways against Partick Thistle on Friday and be ready to close the gap should Celtic, who also have a game in hand, go through a poor spell of results. He said: “It’s not disheartening to see Celtic so far ahead because we know what they are – a machine that just grinds out those league wins. “They have found a new gear this season and are batting teams aside. The gap is there because they are winning games and we can’t argue with that. “We feel we’re closer to them than the league suggests but it’s easy to say that. All we can do is try to pick up as many points as we can when we get the chance. “We went toe-to-toe with them on Saturday and acquitted ourselves well. Last season we ground out results, went on eight-game winning runs but Celtic were still there. “We need to go above and beyond if we want to stay with them for the course of a season. Reynolds believes Shinnie should be included in Scotland’s squad for the World Cup qualifier against England at Wembley on November 11. With Hull City’s Andrew Robertson and Celtic’s Kieran Tierney both missing the match through injury, Reynolds feels Shinnie could be an option at left back for Gordon Strachan. He added: “Graeme can do a job but it’s not my place to tell Gordon Strachan who should be in his squad. “What I will say, though, is I’ve been in squads and involved with that calibre of player, so I know he would fit in. I don’t know if that will hold any weight with Gordon Strachan. “I don’t think Graeme was frustrated at not getting the call in the past, that would just be a waste of time. “He has just got his head down and worked hard. He knows there’s no point moping around and moaning about not getting selected. “All he can do is put in good performances and he was excellent against Celtic. “If he does get in the squad for the England game it wouldn’t faze him, he’d step up to it.